1.Inner-plastic bag,Outside-carton,Then put on a plywood pallet. 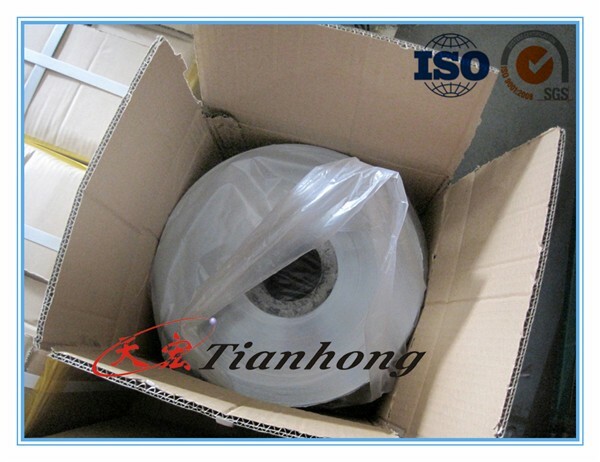 Carton/Wooden box and plastic packaging,moistureproof. 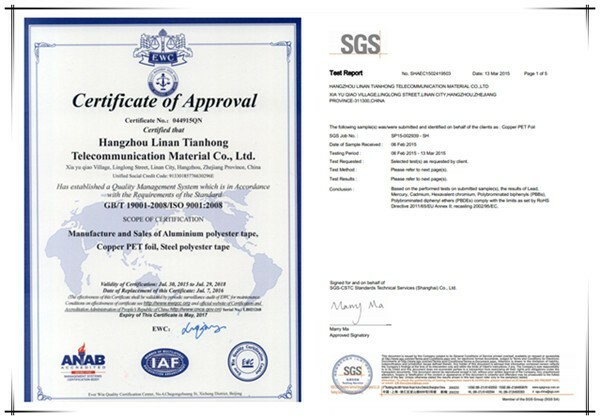 Certificate:We have ISO,Supply SGS,Certificate of original,MSDS,Test report,etc. 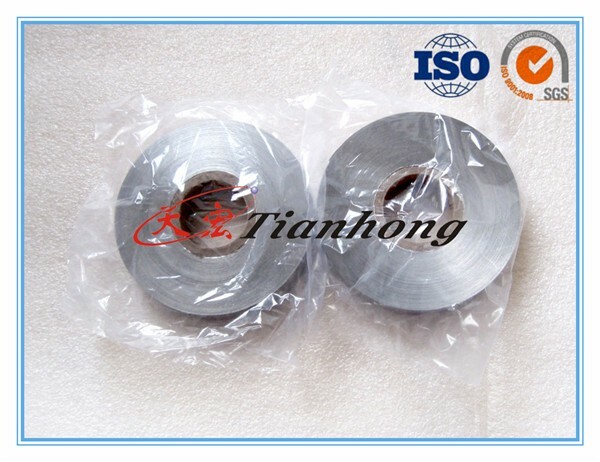 Other products: Aluminum poly laminate, Steel-plastic composite tape, Copper foil, Polyester strip, Blue color aluminum OPE foil, Single/Double side non-bonded aluminum foil, Single/Double heat sealable aluminum foil, etc. 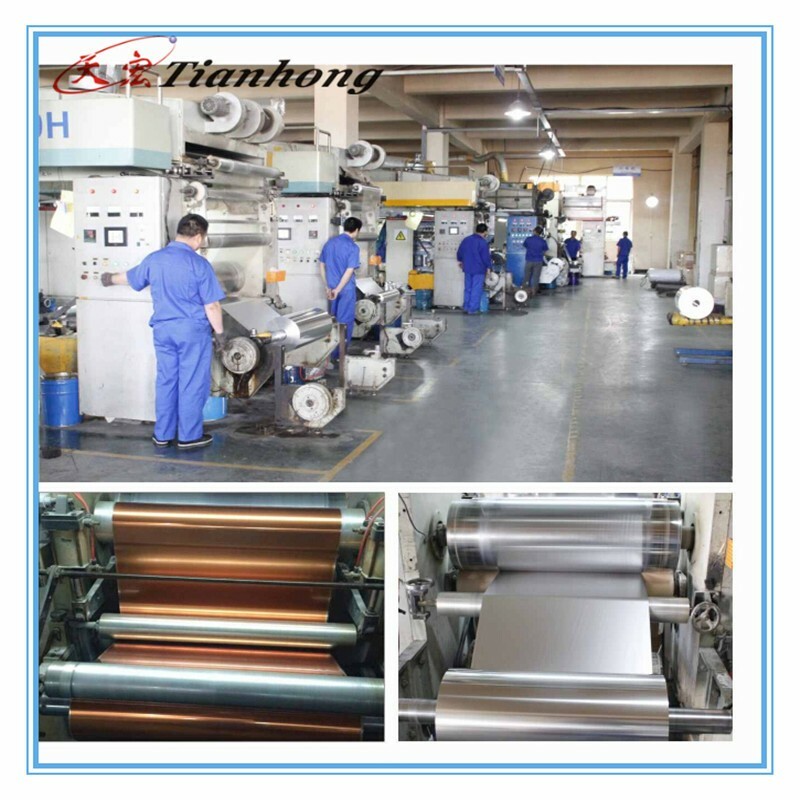 · Industry experience more than 15 years. 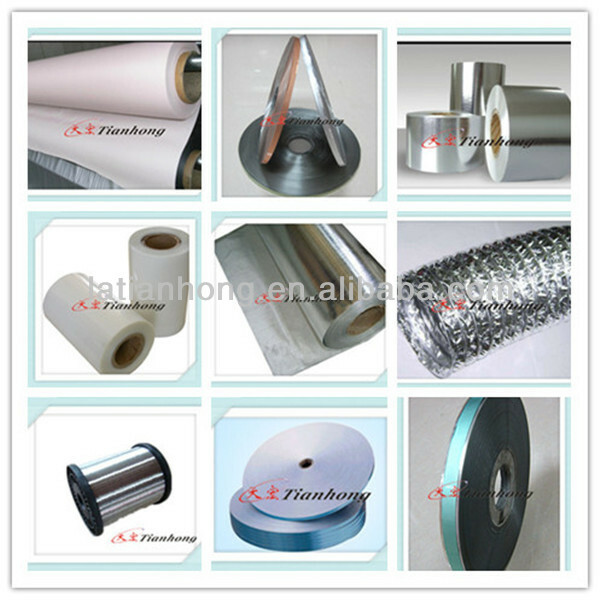 Hangzhou Lin’an Tianhong Telecommunication Material Co.,Ltd., founded in 2000,is an enterprise specialized in producing and exporting raw materials for refrigeration industry ,flexible duct, electric wires and cables, and optional cables, such as aluminum foil Mylar tape , Metallized PET, PVC tape, and copper foil Mylar tape ,polyester tape(PET) tape, aluminum-plastic tape ,aluminum tape, and so on. 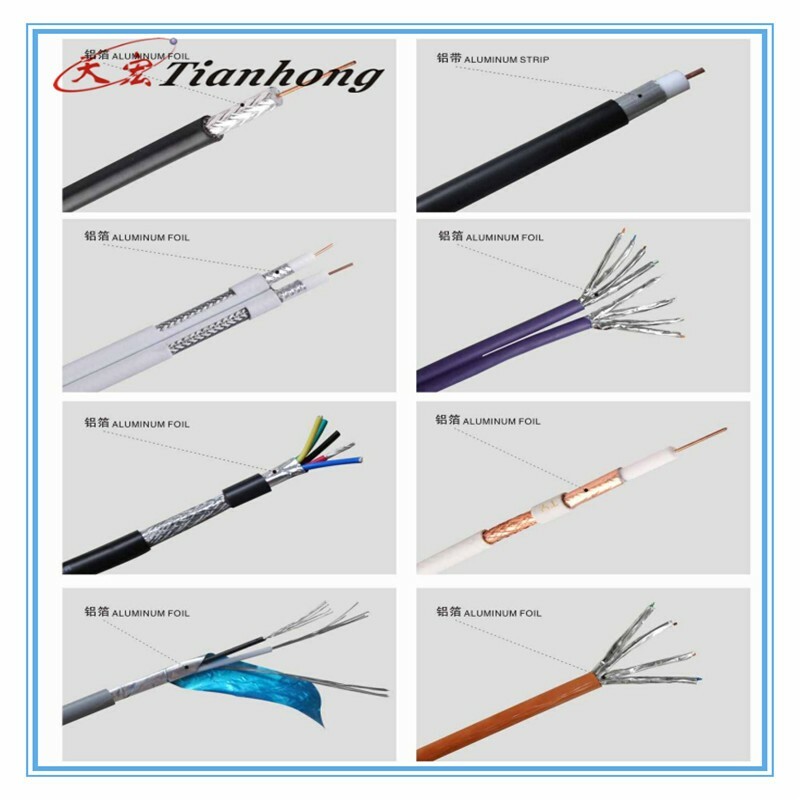 Being in these lines for more than 15 years, the company has been well received by the clients’ satisfaction and recognition. 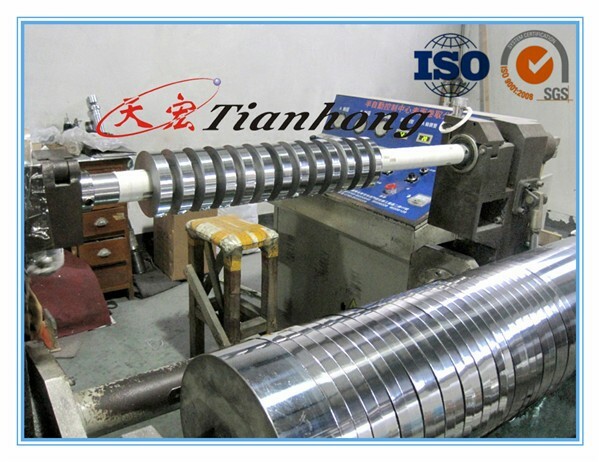 Your requirements is our goal, and your satisfaction is our carving. 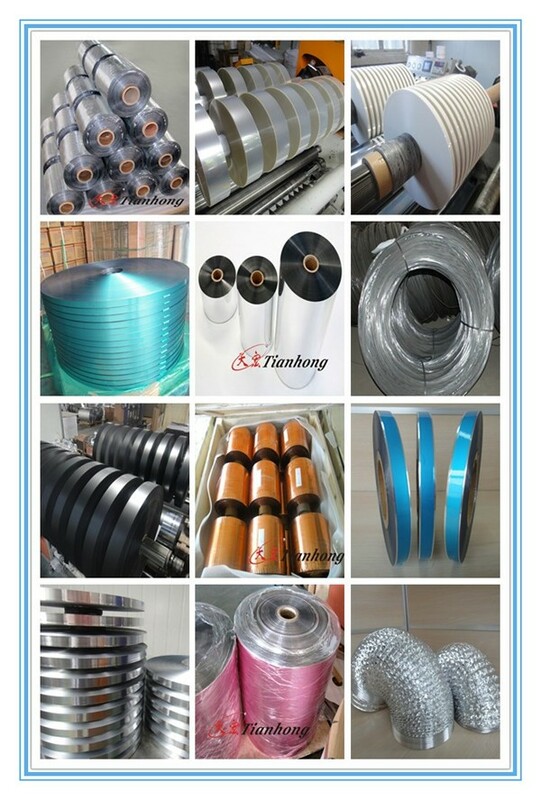 We has already invested 10lines which machines are imported from Germany,and we are preparing for our second phase. 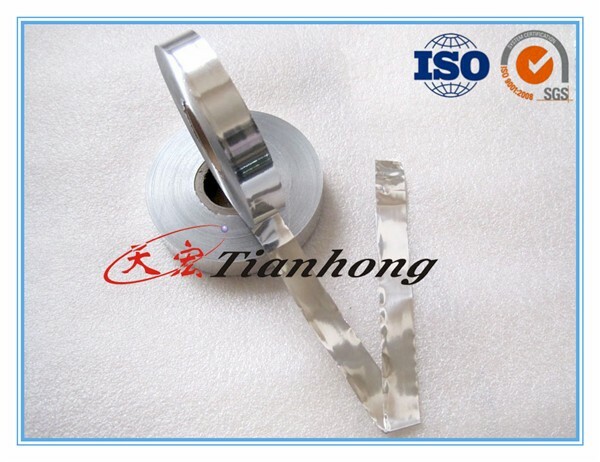 Also we have managed by ISO9001:2000 quality management systerm and all of products come with RoHS certification. 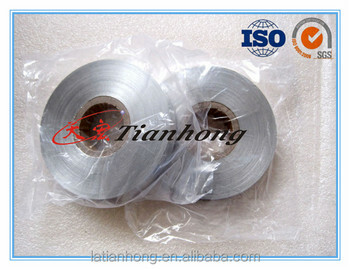 Choose Tianhong is equal to Choose Top Guarantee! 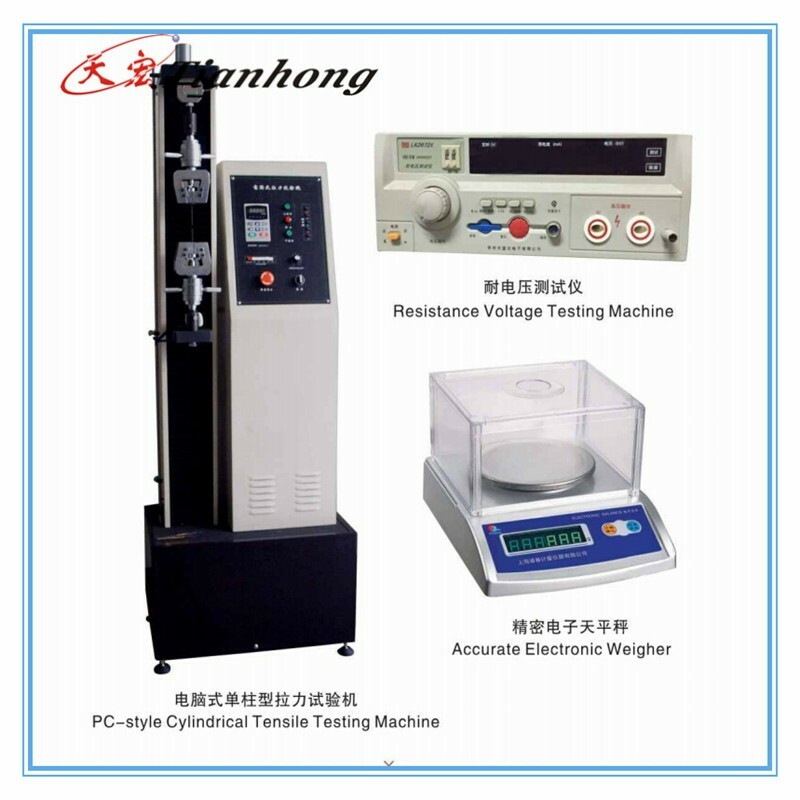 Contact:Please feel free to contact with me! 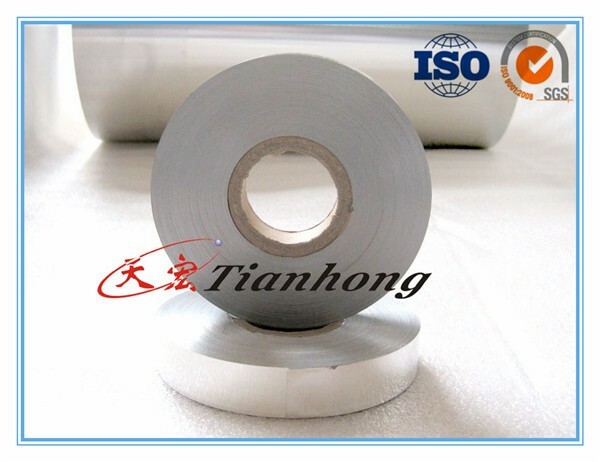 Hangzhou Linan Tianhong Telecommunication Material Co., Ltd.